Back in February of 2010, while reading Eric Siebert's book entitled Disturbing Divine Behavior, I engaged in a stimulating e-exchange with two friends (Brian Zahnd and Brian Schmidt) about the implications of a Christocentric reading of the conquest / genocide narratives in the Book of Joshua (I now prefer the terms "Christotelic" a la Peter Enns or "Cruciform" which I first heard through Zahnd). We were challenged to pursue a high view of Scripture that takes seriously the Bible's invitation to and modeling of what Derek Flood would later describe as "faithful questioning" of the text (in his excellent book, Disarming Scripture). During that discussion, I claimed such faithful questioning did not begin with Christ and the New Testament authors who question Old Testament reports of divinely-sanctioned violence. In truth, we see the practice already at work in the Old Testament ... and not only when the Prophets question the Law (Jeremiah 7:21-23) or when the Chronicler contradicts earlier interpretations of David's life (compare 2 Samuel 24 with1 Chron. 21). 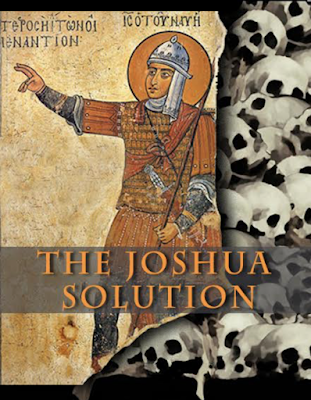 Such faithful questioning of the Joshua conquest already occurs right within the book of Joshua. OT scholar, Matthew Lynch, would confirm this for us in a video interview with CWR here: https://vimeo.com/101826159. He followed that up with a fine series of articles that begins HERE. At the time, I identified two competing voices at work within Joshua that I labelled state-sponsored spin texts versus investigative journalist texts. 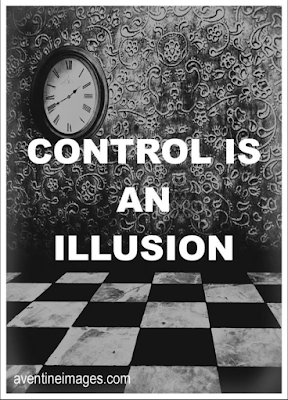 "Control, as you may know, is an illusion." It’s Sunday afternoon and I’m here sitting quietly in my house. Abi, my wife, is away for the week speaking at events and I’m enjoying some leisure time reading a book. With Abi gone, the house is clutter free. Mind you, she’s a self-proclaimed hurricane. And to give her credit she’s light years beyond where she was when we got married. I used to joke that if you wanted to find where Abi was, after she got home from being away, you could simply follow the trail of clothes and items that she would slowly shed as she made her way through the door to her destination. I, on the other hand, am like a silent ninja. As I enter the home I put away everything from the day in its rightful place, leaving the home looking like no one was there. In relationship with Abi, I am always out of control with the house. 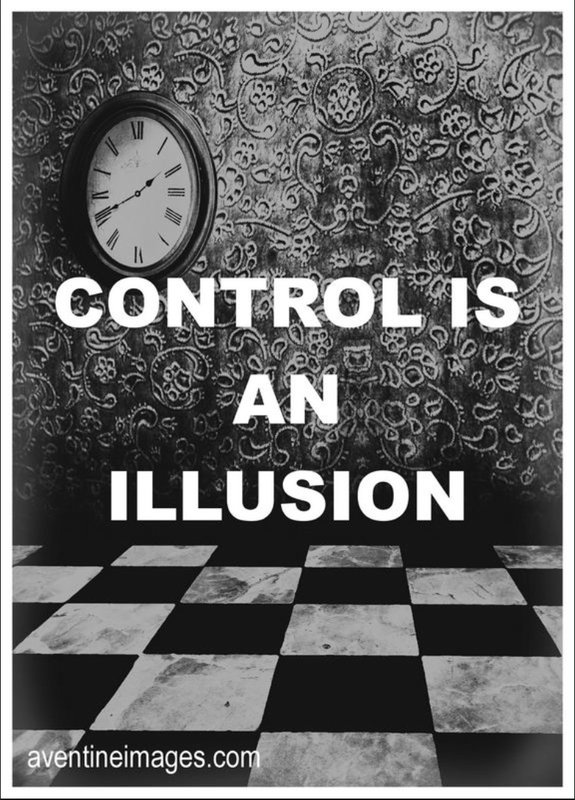 Like all relationships we always find ourselves, in one aspect or another, being out of control. In some instances, we fight aggressively to gain control. We’ll go to all kinds of lengths to get it, even if it means breaking the spirit of those we love. Hell is a subject many religious people get all hot and bothered about. It’s one of the most disputed and controversial teachings within Christendom. The squabbling is not about the surety of judgment for depravity and wickedness. Most Christians agree that there is and will be divine judgment for evil. The battle for hell is all about specifications, temperature and longevity. The debate involves comprehending and communicating divine justice—and in the process humans export definitions of time and space into eternity. But the Bible does not suggest that God needs to import our flawed perspectives into the perfection of his eternity. While the Bible is remarkably silent about hell’s specifications, cool heads seldom prevail when precise speculations about hell are on the table. When theories such as the degree of suffering that exists in hell, how hot hell is and how long it lasts are under discussion, blood pressures rise and tension fills the room. Some Christians take the view that hell is the battleground of true faith. Some draw a line in the sand in defense of the hottest kind of hell possible. Any other view of hell is discounted as a liberal, progressive, faith-denying, slippery-slope perspective that owes its existence to soft-headed humans rather than a theology that insists on sinners in the hands of an angry God. In some religious circles, belief in the most excruciating hell that humans can imagine and describe has come to be seen as one of the acid tests of true Christianity. There are Christians who believe in judgment, but they are not as dogmatic about all of the details. I am one of those Christians. I believe in the judgment of hell, as defined as eternal separation from God, but I am far from dogmatic about specifics. I believe that the presumed necessity of eternal torture as a vindication and satisfaction of God’s wrath is a violent contradiction of God’s love and character as revealed in the Bible. Brian Zahnd - The Prince of Peace from Plain Truth Ministries on Vimeo. ‘Heaven is my throne, and the earth is my footstool. There are no temples or shrines among us save those of nature. Being children of nature, we are intensely poetical. We would deem it sacrilege to build a house for the One who may be met face to face in the mysterious, shadowy aisles of the primeval forest, or on the sunlit bosom of virgin prairies, upon dizzy spires and pinnacles of naked rock, and in the vast jeweled vault of the night sky! A God who is enrobed in filmy veils of cloud, there on the rim of the visible world where our Great-Grandfather Sun kindles his evening camp-fire; who rides upon the rigorous wind of the north, or breathes forth spirit upon fragrant southern airs, whose war canoe is launched upon majestic rivers and island seas--such a God needs no lesser cathedral. I love churches, especially really large and old Cathedrals. But, I also love this statement. Sometimes we just have to live with tension when following Jesus. Happy belated earth day. 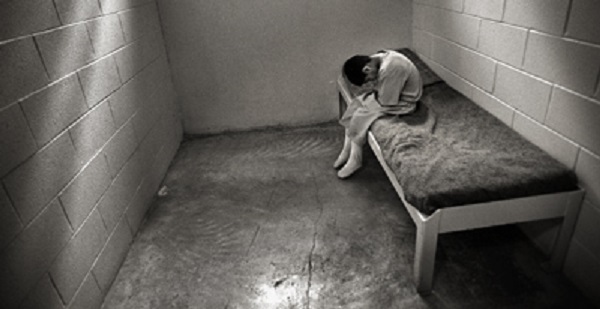 "Humanity sentenced God to death; by his Resurrection, God sentenced humanity to immortality. In return for a beating, he gives an embrace; for abuse, a blessing; for death, immortality. Humans never showed so much hate for God as when we crucified him; and God never showed more love for humanity than when he arose. Humanity even wanted to reduce God to a mortal, but God by his Resurrection made man immortal. The crucified God is risen and has killed death. Immortality has surrounded humanity and all the world." Religious rocks create barriers in our relationship with God. Notice the “red letter” words in our passage in John 11:39, the four words in this verse that Jesus actually spoke. Take away the stone…. The background for our passage begins in the first verse of chapter 11 of the book of John. Lazarus was sick. 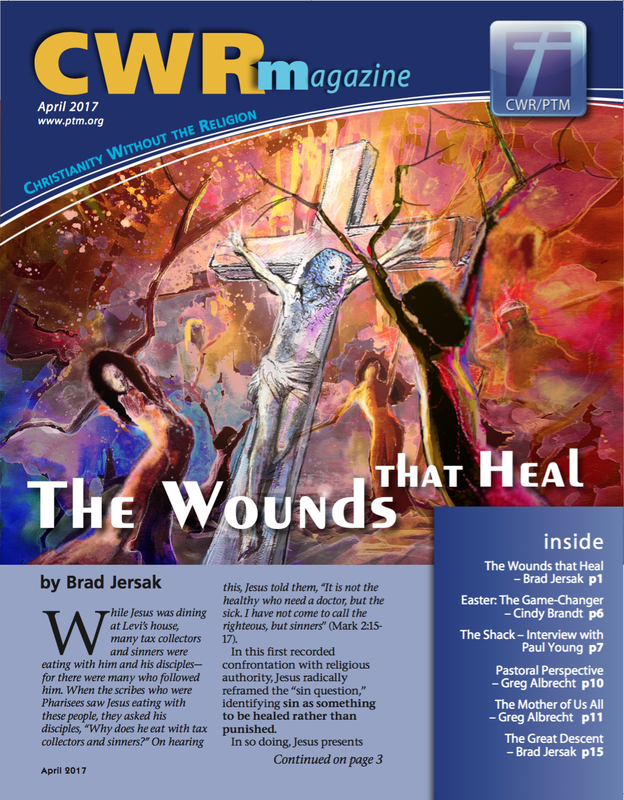 As the chapter unfolds we discover that Lazarus eventually died. His sisters Mary and Martha were overcome with shock and grief. Our message begins at the house of mourning, in a place where we all have found ourselves. If you have not yet visited the house of mourning, it’s a place where you will eventually find yourself. To be human is to be frustrated and confounded with our human limitations. It’s our human dilemma. We cannot continue our humanity, our life in this flesh, forever. So here in John 11 God is meeting us in a place of loss and despair. Albrecht - You Don't Belong Here from Plain Truth Ministries on Vimeo. N.T. (Tom) Wright, in his book, The Day the Revolution Began, struck a nerve with the candor of his critique of any gospel that implies, “God so hated the world that he killed his only Son.” Of course, laying bare that image of God draws charges of strawmanning – but if Wright is wrong, then I will rejoice when evangelists stop communicating that very impression. The gospel of our Lord Jesus Christ is far more beautiful than what Wright terms the “paganized” message of wrath-appeasement through divine violence. 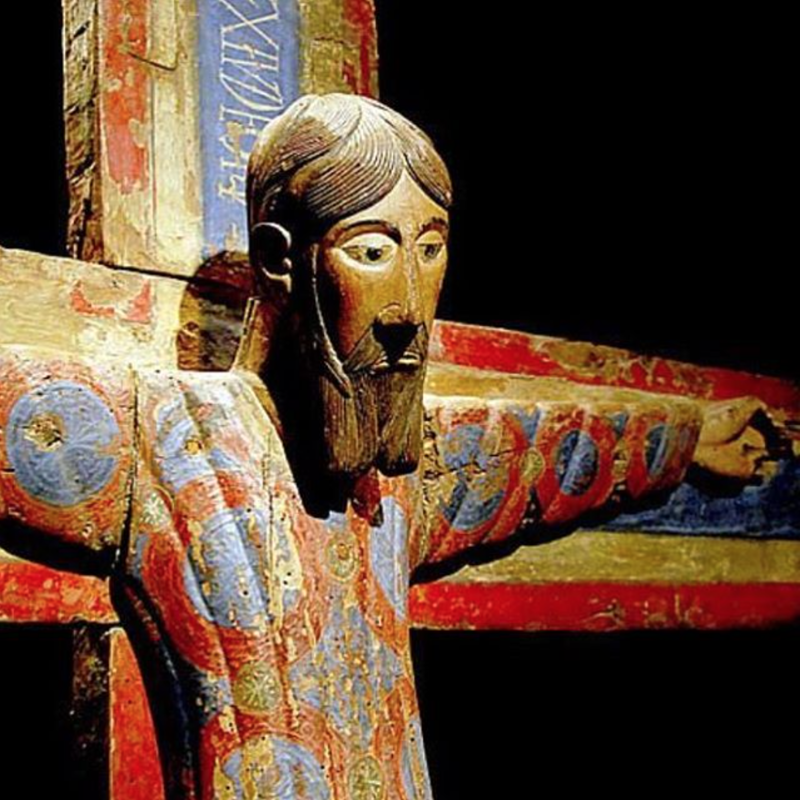 But Evangelical children of the Reformation have been so conditioned with this ethos of the Cross that I am often asked, “Then why did Jesus die?” as if other than getting his pound of flesh, God’s Good Friday mission were pointless. In this article, I will respond to that question from three cohesive perspectives. Why did Jesus die? Because we killed him. The Gospel of John and his first epistle present the Incarnation as a love-gift from heaven. God gives his Son—which is to say, gives himself—to the world as a revelation of divine love and his decisive saving act. More on that shortly. The Light of life and love entered this world, but our darkened hearts neither recognized nor received him (John 1:9-12). Jesus died because we rejected God’s love and killed God’s Son. St Stephen calls the crucifixion a betrayal and a murder (Acts 7:52)—the homicide and deicide of the God-man. Yet even then, John insists, the darkness could not overcome this Light of love and life (John 1:5). Sure, the religious-political establishment could reject divine Love and kill the Christ, but they could not take his life (John 10:18). Rather, Christ lays down his life as a revelation and an act of God’s love, then takes it up again to distribute to the world. 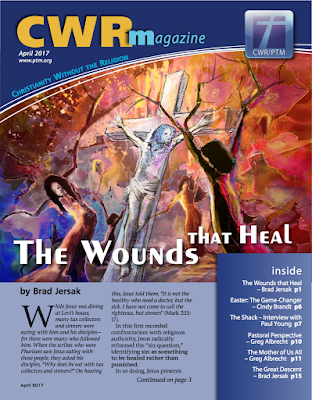 The fall issue of CWR VIDEO is available HERE with thoughts by Paul Young, Brad Jersak, Greg Albrecht, Laura Robinson, Steve McVey, Archbishop Lazar Puhalo, Brian Zahnd, Russ Hewett, Ashley Collishaw, Peter Helms, Ed Dunn and Dale Viljoen. For a sample, here's Paul Young. Frank Schaeffer: Why I'm an Atheist Who Believes in God from Plain Truth Ministries on Vimeo. When Jesus came to the region of Caesarea Philippi, he asked his disciples, "Who do people say the Son of Man is?" They replied, "Some say John the Baptist; others say Elijah; and still others, Jeremiah or one of the prophets." "But what about you?" he asked. "Who do you say I am?" (Matthew 16:13-15). More than two thousand years ago, Jesus asked his closest disciples the same question that he has asked humans ever since. Who do you say that I am? The answer his disciples gave then, and that you and I give today, radically determines the direction of our lives. Even those who have been skeptical of the claims that people have made of Jesus have been overwhelmed when they stopped to carefully examine his life. One of the most famous Christian philosophers of the last century was C.S. Lewis, a professor of English at Oxford University in England. Schooled in the scholastic disciplines, he was an agnostic who denied that Jesus was anything more than a man. But as he studied the person and words of Jesus, he also gradually came to the conviction that Jesus was more than just a man. Over the years he became one of the greatest Christian thinkers, writing many books, including Mere Christianity. C.S. Lewis was not the only one who discovered that the evidence for determining the true identity of Jesus is found in looking at the uniqueness of Jesus. What made that one solitary life, lived so many years ago, so very different? The art of French painter Miki de Goodaboom is featured on our cover and on pages 3-4,11,13-14. (UBP. Please honor copyright). Frank Schaeffer: Art and Christianity from Plain Truth Ministries on Vimeo. John tells us in the last line of his gospel that there are many stories about Jesus he leaves out. He says the world could not contain all the books that could be written. And in a sense that is not hyperbole, for every story about God or man or the cosmos in all the libraries of the world that offers forgiveness or healing or justice or deliverance or mercy or truth is about Christ. And yet I want to suggest that this morning's gospel about Lazarus retells the scriptural story of God and man and the world from beginning to end. This gospel reading contains the entire library of the Bible in one chapter. Lazarus is Adam and Eve and Abraham and Sarah and Samson and Delilah and David and Bathsheba and Daniel and Isaiah. 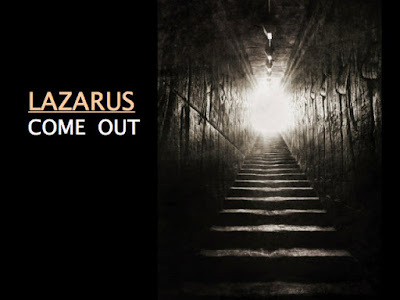 Lazarus is, in the words of Ezekiel read earlier, "the whole house of Israel." Lazarus is you and me, and everyone one who has ever lived or ever will live. Like Genesis, the story begins with a diagnosis of the human condition, and of the disposition of the heart of God towards humanity even in this horrific illness we bear. We are told that Lazarus is sick. And we are told that Jesus loves Lazarus. It's important that we know BOTH of those things. We are sick with death. And God loves us, even in our illness. "Master, the one who you love so very much is sick." These are the words of Lazarus's sisters, Mary and Martha, to Jesus. You remember Mary, the woman who Luke tells us "lived a sinful life," the one who anoints the feet of Jesus with perfume and drys them with her hair. And Jesus loves Mary in all her illness and Mary loves Jesus because the one who is forgiven much loves much. The Son, we are told in the beginning of the story Scripture tells, will crush the head of the serpent, the source of death, his final enemy; he will trample the snake who seeks to steal, kill, and destroy humanity. While the disciples think Lazarus is simply taking a nap and that there's no earthly reason for their Rabbi to risk so much, Jesus is serious. He always is when he's talking about death. He knows the reality of our situation. He knows Lazarus is dead. He knows we are dying. In this gospel story that tells the whole story of Scripture there is also the great mystery of God's inexplicable waiting in the face of death. Jesus does not go immediately to Bethany. God knows Lazarus is dying and yet he lingers. John's gospel tells us that when God in Jesus Christ finally arrives Lazarus has been dead four days. This is not news to us. The whole house of Israel is dead. All of those people who fill the pages of Scripture are dead. We are dead. And so many have died. And so many are dying. And so many are still waiting, for God. Israel waited for centuries for the Messiah. And we wait. The world waits. We wait in all the cemeteries of the world, and beside every tomb. We hope and we doubt and we grieve and we cry. But we do not cry or wait or grieve alone. "Master, if you had been here, my brother would not have died." Where were you? What took you so long? Don't you know we needed you? If you had only been here...these and many other words we speak at the graves of our loved ones, and over the destruction and death already present in our personal histories. This is THE question that life poses to us. This is not just God's question for Martha. This is the question our human existence poses to us. Do we TRUST in the face of our collective illness amid a broken world that Jesus Christ is Life and Resurrection? Can we reply as Martha replies? Martha is the voice of Spirit-enabled response to this startling declaration of Jesus. And by the same bounteous Spirit we join her. And the REASON we can hope AS we wait? We have hope in the middle of a fragile and grief-stricken world because we do not wait alone. I imagine that Christ stood there by the tomb of Lazarus and just sobbed, like a baby. This is not only Jesus the human friend of Lazarus, who on many occasions enjoyed laughter and wine and late night conversation with his companion; this is Jesus, the God who made Lazarus, who loves Lazarus. This the God and this is the human who loves us. And we are told by John not only that God is sad. We are told that he is "deeply troubled." We are told that he is angry... but not at Lazarus, and not at humanity. His anger is directed at God's enemies: death, hell, and the grave. This gospel about Lazarus reveals God's radical identification with death-bound humanity, a humanity personified in Mary and Martha and Lazarus—I will say it again because the gospels says it—whom Christ loves. “Help, GOD—the bottom has fallen out of my life! Master, hear my cry for help! Listen hard! Open your ears! Listen to my cries for mercy. "If you, GOD, kept records on wrongdoings, who would stand a chance? As it turns out, forgiveness is your habit, and that’s why you’re worshiped. "I pray to GOD—my life a prayer—and wait for what he’ll say and do. My life’s on the line before God, my Lord, waiting and watching till morning, waiting and watching till morning. And so here at the end of the story John tells we find ourselves standing with the mourners by the simple cave cut out of the hillside in Bethany, and the heavy stone has been rolled against it. And Lazarus has been dead four days and he stinks so bad because death reeks. And there in the human flesh of Jesus is the God whose habit is forgiveness, and there Christ stands with conflicting emotions by the tomb of Lazarus, and by every tomb—the ones that are still marked, the ones we visit from time to time, and by the countless tombs that are lost to the decay of time. Here, at the tomb of Lazarus, God stands by the common grave that is the lot of all humans. We hear the great Voice of God that calls us back to being forever. Jesus says, "Take off his grave clothes and set him free," and his words are a universal declaration. The resurrection word to Lazarus is also our resurrection word. Jesus takes from us all the grave clothes that bind us to death. And it does not matter if our bones have become dry dust swirling in a valley or shifting silt at the bottom of the ocean, and it matters not if there's not one trace of our DNA to be discovered. His love can call us back to life from nothing. "Mortal, these bones are the whole house of Israel. 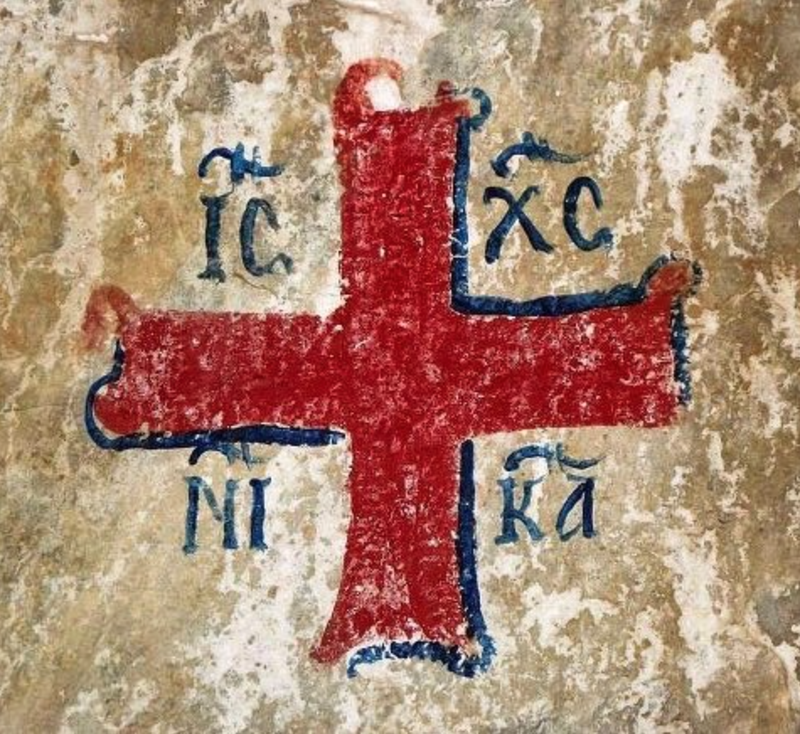 They say, ‘Our bones are dried up, and our hope is lost; we are cut off completely.’ Therefore prophesy, and say to them, Thus says the Lord God: I am going to open your graves, and bring you up from your graves, O my people; and I will bring you back to the land of Israel. And you shall know that I am the Lord, when I open your graves, and bring you up from your graves, O my people. I will put my spirit within you, and you shall live, and I will place you on your own soil; then you shall know that I, the Lord, have spoken and will act." And so today with Martha we trust that Jesus Christ is the Messiah. That he is Resurrection. That he is Life. And the promise is that he will raise us because Resurrection is what Christ is and what Christ does. And that Resurrection Life resides in us now. Amen.